A daily journalist has called for more training for court staff after an usher tried to remove him from a hearing – only to admit she “didn’t know” why he should be barred. Alex Wood, who works for the Bristol Post and its sister website Bristol Live, has called for better guidance to be given to court ushers on the rights of the press to attend cases. Alex, pictured, was attending a youth court hearing on Monday when an usher took exception to his presence after proceedings had started. But after he challenged her on why he should be barred, the usher admitted she did not know of any reason why he could not be present before the court’s legal adviser stepped in to clarify the situation. 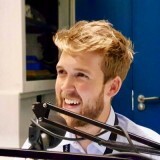 Alex told HTFP: “Monday’s incident with the court usher is not the first time my presence as a reporter in a youth court has been challenged – but it certainly caught me by surprise. The usher had already let me into the court room without any issue, after I identified myself and explained why I was there. “It was only after the proceedings had started that the usher took an exception to me being present. She asked me if I was a member of the press, to which I said I was, and she then told me that I shouldn’t be in the youth court. I asked her to specify why I wasn’t allowed in the youth court and she responded hesitantly with ‘I don’t know’. “The frustration for me here was not only that I had already identified myself to the usher and told her I was a reporter, but that she honestly believed members of the press cannot attend youth cases – despite clearly not knowing any of the rules surrounding this. Alex later posted about the incident on Twitter, with current and former journalists responding with similar accounts of being challenged by ushers – and sometimes even solicitors – while in court. He added: “It was suggested to me that some ushers do not receive much training or guidance when it comes to press attendance, particularly where youth courts are concerned. If that is the case, I think it should be addressed. Sat in court for a youth case. It has always been like that. Many times I have had to call a court clerk. The press are a nuisance. Well done Alex. All that training at Plymouth paid off! I once went to a magistrates court to cover a fairly dull, routine assault case, all adults involved and no grounds for reporting restrictions or anything like that. A member of staff in the reception asked why I was there and requested proof when I said I was a member of the press. Sadly I couldn’t find my press card (it was in another jacket) so I said if it was that much of a problem I’d simply observe from the public gallery instead. An extremely hostile usher once tried to eject me from court as I was using a laptop – it was only down to the intervention of the court clerk that I was able to stay! Alex Wood, one of the new breed. There just might be hope for this old industry of ours yet, chaps. I share and understand the frustration but might this have been a situation where he might have been better not to Tweet about it and make an issue of it? Once you get to know them, ushers can be a journalist’s best friend – letting you know what’s going on in the next court, giving you a heads up to possible stories. Of course, challenge them to their face and don’t let them get away with blocking you on the ground. But why risk alienating a potential helpful person by publicly moaning about them?